I can barely begin to imagine that 2013 is almost over. This year has been so good to me. I've been on so many adventures and I feel so grateful for all of the experiences I've had this year. I have had massive, mind blowing highs and I've spent more time smiling and succeeding that I thought was possible. I think it's easy to get caught up in the end of year madness but it's great to sit down and think about the things that you are grateful for from this year. Send out a THANK YOU to the universe and make the decision that next year is going to amazing. 2013 was especially good to me so I've decided to put together my final gratitude list for 2013 with the things I've been grateful for throughout the year. A lot of my travel adventures have been through work and I've visited some absolutely stunning places with the best people. I loved every trip I've been on and I know they wouldn't have been as great had it not been the people I travelled with. But seriously, if your nieces and nephews were this cute you'd be grateful too. I've spent this year in lycra as my Black Milk collection has grown to ridiculous proportions. I love that I can wear something crazy and ridiculous and feel so comfortable and happy. I am grateful for the confidence their clothing gives me. 5. A little bit of everything else. It has been so hard trying to reduce the things I'm grateful for into 5 points. I have had so many great experiences this year. There have been ups and downs but this post is about finding the things that have made me smile this year. I have shared this year with so many great friends and family and I am happy to look back at 2013 and think this was a lucky, fun filled, adventurous year for me. 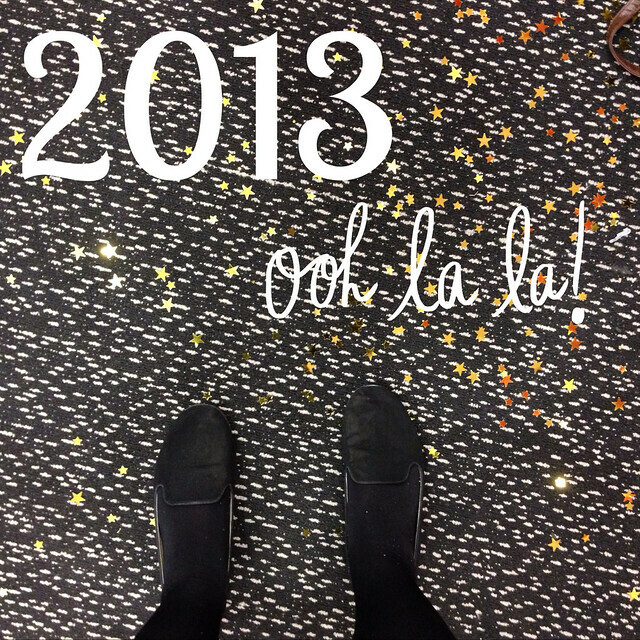 Bring on 2014 and another outstanding year.